AKBG is now inviting new applicants for a 9-month course, including 3 months practical training. 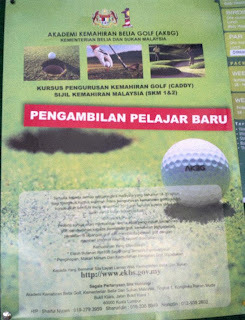 Well, for those youngsters who aspire to be Tiger Woods of Malaysia but stop short due to financial constraints, should seriously consider applying for this course. You've to start somewhere and this opportunity is the first step to fulfilling your dream. Mind you, the course is FOC and over & above, successful applicants are given RM100 monthly as pocket money throughout the duration of the course. Professional caddies are hard to come by. Most golfers, including me during my heydays (he...he...he), really appreciate the services of 'good' caddies. Nowadays, I'm very reluctant to engage caddies unless club's rulings insist that golfers must 'take' caddies. The reason is simple....I'm not willing to depart with my hard-earned pension just to let them pull my trolley. You see, most of the caddies that I know, are nothing more than 'bag carriers/trolley pullers'. What's the purpose of paying RM50.00 when I've to look for my ball if it doesn't land on the fairway? There're caddies who can't even tell between 'irons' and 'woods'. And it costs RM40/18 holes + RM10.00 tips! But what to do when the club's rulings insist that golfers must take caddies for club-organised tournaments. Fortunately for me, most of the time, there were insufficient caddies to go round. (This isn't DGCC's rulings). 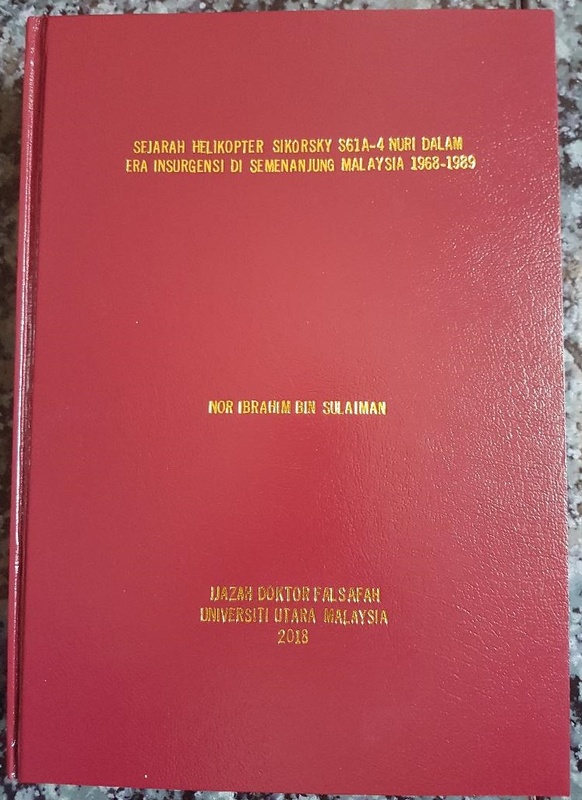 Of course, many disagree with me; RM50 pun berkira ke? Their reason is also simple....Most of these caddies are school children trying to earn extra income during weekends. Well, it's up to the individual; the choice is yours. If one doesn't mind paying...go ahead and nobody is stopping you. As for me, I do mind! There're golf professionals who started their career from being caddies. This vocation offers a golden opportunity to those Tiger Woods wannabe. Well...Think about it.